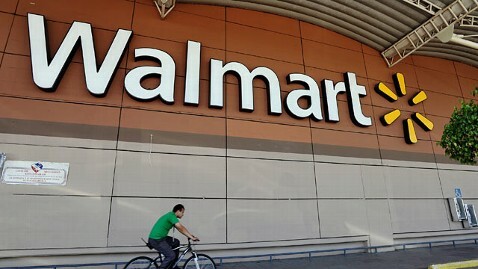 Walmart joined an ever-growing list this week of American business giants that have cut ties with the American Legislative Exchange Council after the conservative group began "to weigh in on issues that stray away from its core mission," as Walmart Vice President Maggie Sans said. Instead of sticking solely to economic issues, ALEC has recently ventured into social topics like gun laws and voter ID requirements, issues that Sans said make the divide between ALEC's activities and Walmart's mission "too wide." But while America's largest retailer is publically backing away from this conservative cause, Wal-Mart's owners are still pumping major money into conservative candidates. The Walton family, which owns Walmart, has already donated $624,100 to Republican candidates and Super PACs this cycle, according to disclosure data analyzed by the Center for Responsive Politics. Ninety percent of those donations went to support GOP presidential candidates. Jim Walton, the son of Walmart founder Sam Walton and the eighth richest man in America according to Forbes, initially put his money behind Jon Huntsman. The billionaire gave $2,500 to Huntsman's campaign and $100,000 to Our Destiny PAC, which supported Huntsman. But after Huntsman's campaign floundered, Walton switched his support to Romney, dumping $200,000 into the pro-Romney Super PAC Restore Our Future and another $2,500 into the Romney campaign. Walton's sister-in-law Christy split her campaign contributions among two GOP contenders, both of which were among the first four candidates to drop out of the race. In November she showed some billionaire love for Jon Huntsman, giving $50,000 to the Super Pac supporting him and $2,500 to his campaign. Days after then-candidate Herman Cain was accused of sexual harassment, Walton donated the legal maximum of $2,500 to his campaign. Alice Walton, the daughter of Sam Walton, has kept all of her donations fixed on Romney, giving the maximum $2,500 to his campaign and an additional $200,000 to the Super PAC supporting him. None of the Waltons have donated to Democrats, Federal Election Commission reports show. But while the Waltons are stridently conservative in their campaign contributions, the people that work for them are a bit more bipartisan. So far in 2012 Walmart employees and its affiliated political action committees have split the $620,000 that they have donated so far in 2012 fairly equally between Republican and Democratic candidates. Unlike Walmart's owners, the company's political action committee leans a bit to the left this year, giving $2,000 more to Democratic candidates than to Republicans, a wide departure from the PAC's Republican past. In the 2004 election the PAC gave 3.5 times as much to GOP candidates as they gave to Democrats. Steven V. Restivo, Walmart's senior director of community affairs, insisted that the company's campaign contributions are not pegged toward a party but toward particular policies. "At Walmart, we have a long history of supporting elected officials on both sides of the aisle," Restivo said in an email to ABC News. "The company contributes to candidates that are supportive of issues that are important to our customers, associates and shareholders."